Gold rose drop earrings in Black Hills Gold style by Landstrom's Original Black Hills Gold Creations®. 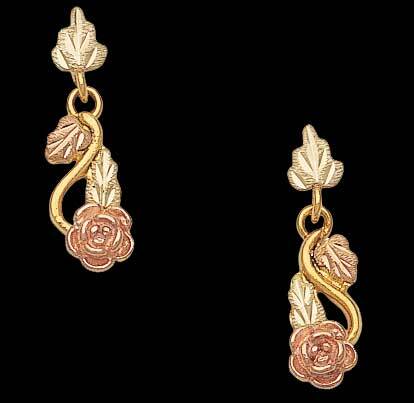 Rose and leaf accents are 12 karat gold. Earring posts and nuts are 14K gold.